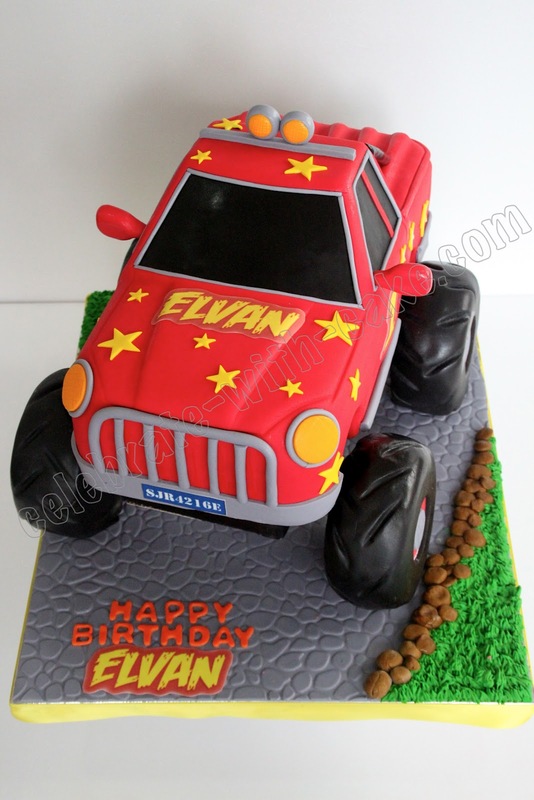 The cake engineering husband got to work and came up with a brilliant way of having the ENTIRE monster truck suspended in air, while being utterly and incredibly stable. 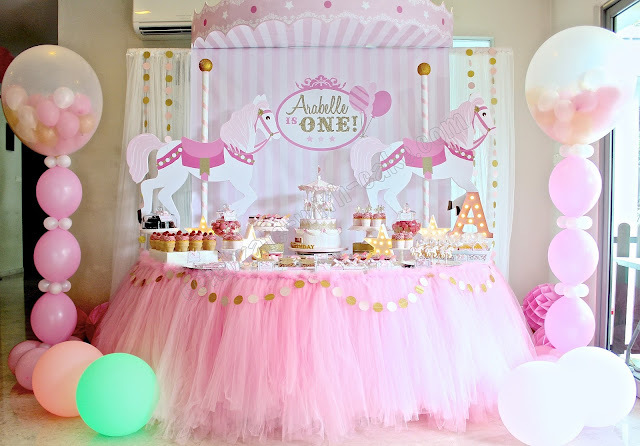 Now that's the way to celebrate a first birthday aint it? 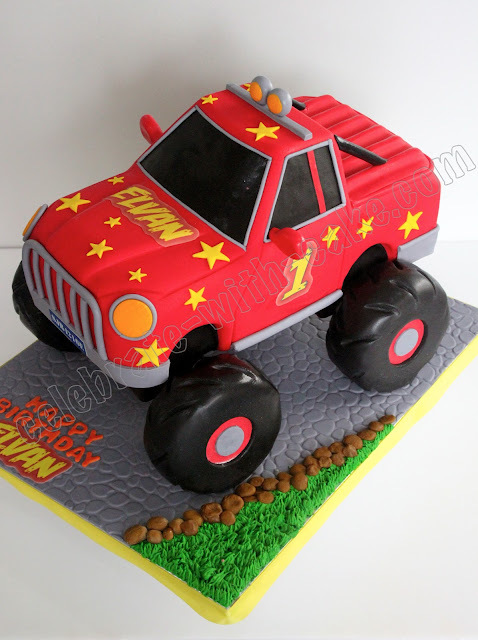 We also played down the "fierceness" of the monster truck by adding yellow stars to the truck, instead of the normal "grave digger" logos, with flames and what nots, just so it will be a bit more suitable for a one year old's birthday party! Ok I gotta know, HOW! 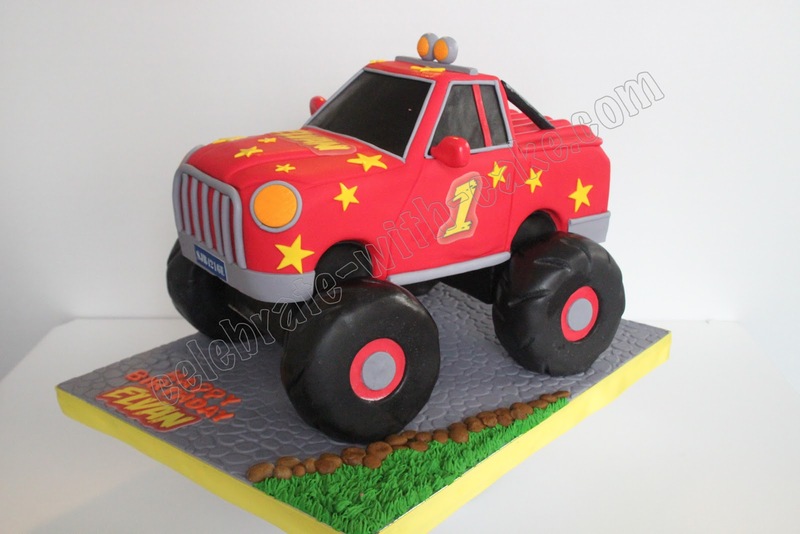 Are the wheels cake? 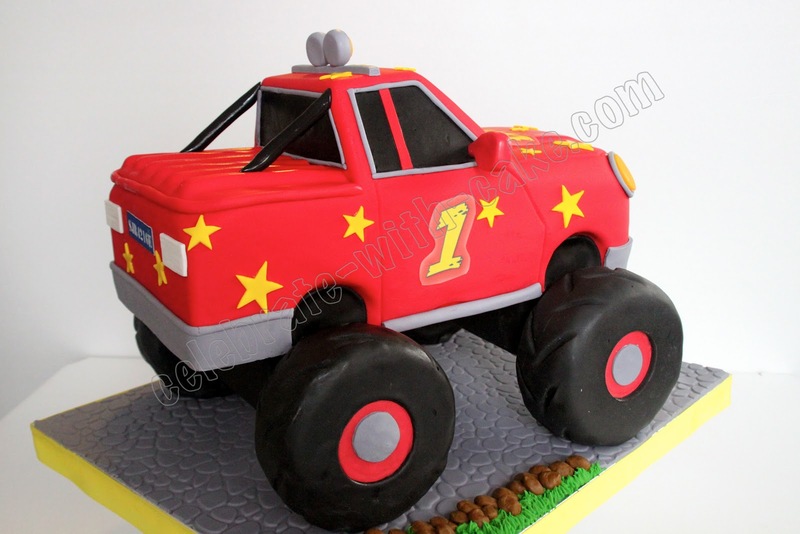 I am working on a monster truck cake for a dear friend and I want it to be amazing like this (I will be using a different design I course) but I gotta know, how did you suspend the cake on the wheels?!? Help a sista out? We are fine with you following the same design if you like. The wheels are rice crispy inside with melted marshmallow. It "looks" unstable but actually the fondant keeps it in place. The thickness of the wheel settles the risk of the wheel falling left or right. The soft soft fondant sticks the wheel to the board. 2. put a stick to connect each of the two wheels - so two sticks. 3. place a thick cake board with two groves along the bottom onto the two sticks. 4. Your car chassis which is built separately is then placed onto that board. Veronica, I really appreciate you responding to my cry for help. Cake is due this Saturday, wish me luck! 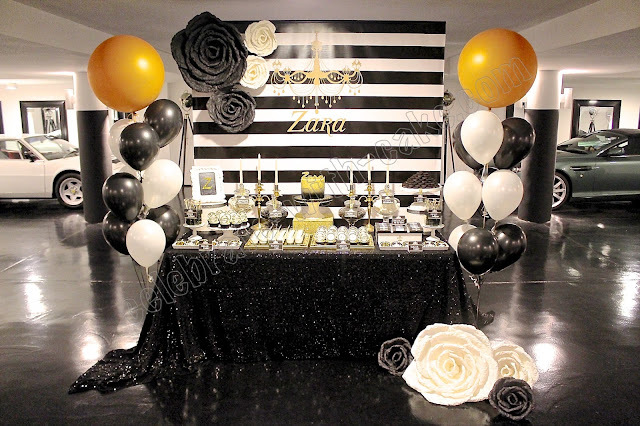 Thanks again for your help. Best of luck there and do show us a picture when it is done. 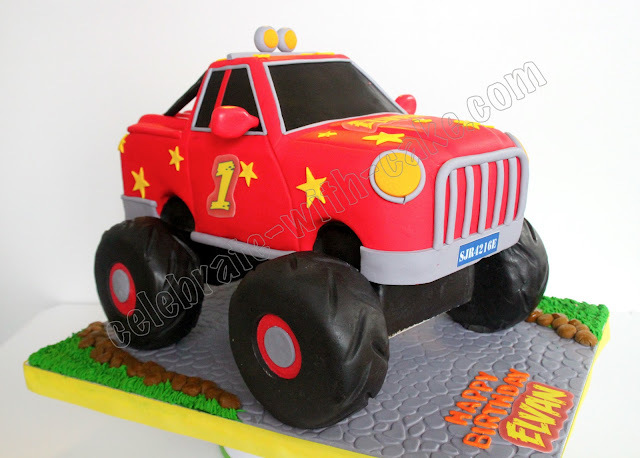 What is the price range for a cake like this in US dollars?